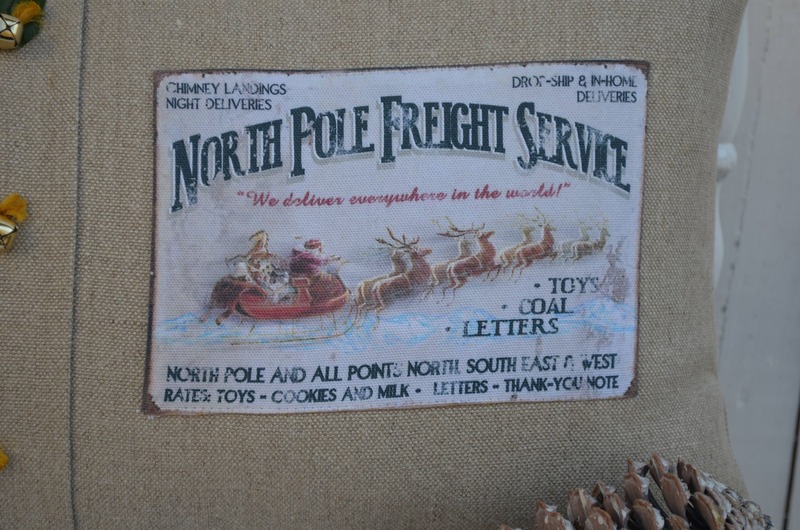 North Pole Freight Service Christmas Pillow. 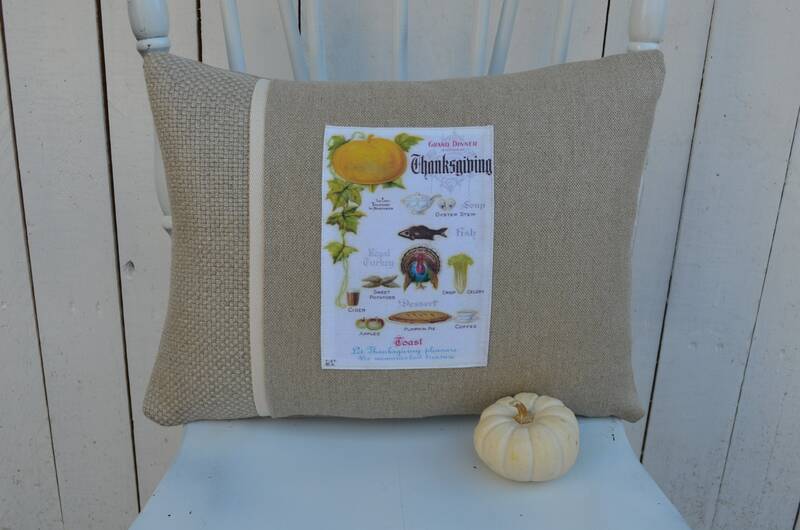 This adorable pillow is full of "tongue and cheek" humor! I love it! The graphics are by WAGlacier Graphics at https://www.etsy.com/shop/WAGlacierGraphics. I normally use vintage postcard images but her images were so perfect for the holiday season that I couldn't resist! 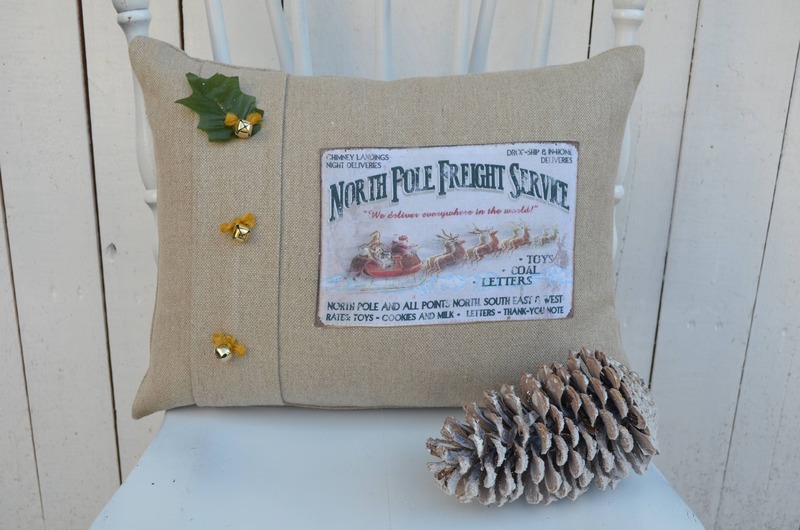 The image is available in 3 style options, the small pleated with jingle bells or hand tied rope buttons, small 2-tone and small stripe. 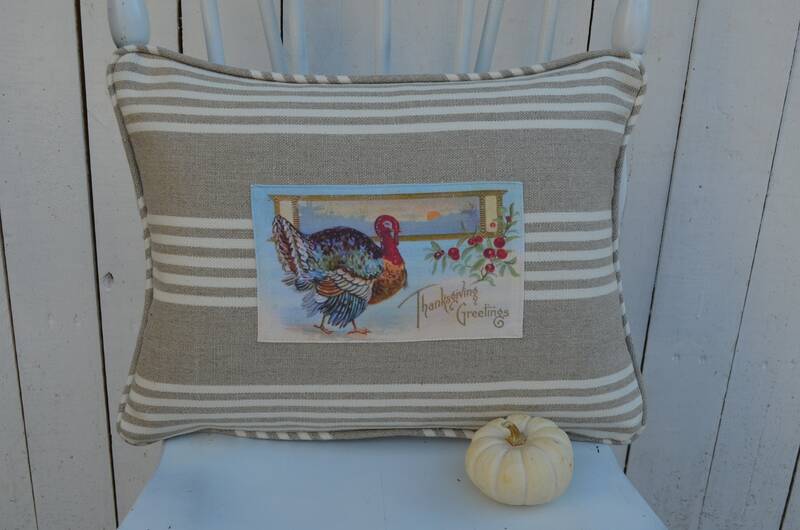 The pillow is made from 100% Belgian linen and comes with the 95/5 feather/down insert. The pillow measures 12 inches high by 16 inches long. 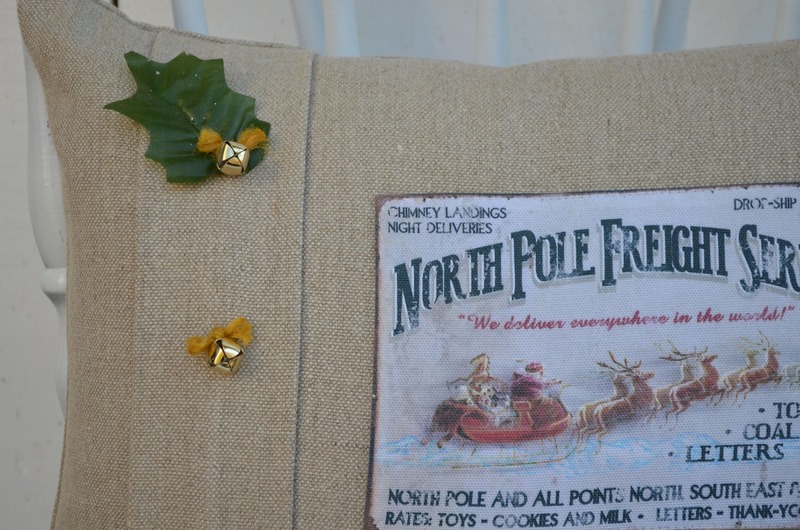 I added 3 jingle bells on the pleated style for the fun of it ! All pillows are closed with a zipper at the bottom.